What types of Fioricet rehabs are available out there? Fioricet is an addictive drug and seeking treatment is more than important as it can save lives. The first step towards recovery is to admit you’re struggling with Fioricet addiction and decide on a rehab. Some of the recovery options include inpatient rehabilitation facilities and outpatient treatment centers. Detox, psychological counseling, and aftercare are crucial for recovery. Why is it important to learn about Fioricet rehabs and recovery options? It’s important to know about Fioricet rehabs and recovery options because Fioricet is among the most abused and habit-forming painkillers. It can lead to severe side effects and health risks, such as liver failure. Overdosing can be lethal. In addition, Fioricet leads to addiction and withdrawal. Therefore, treatment is needed to help people recover from Fioricet dependency. Fioricet Rehabs & Recovery Options: Is Fioricet Addicting? Exploring different rehabs and recovery options for Fioricet addiction is crucial as this drug can cause severe addiction with painful consequences. Why is Fioricet so addictive, one might ask. Fioricet is often seen as a simple pain relief alternative for tension headaches. We all have experienced acute pain, and somehow without thinking, we often get a pill or two to clear our head. Unfortunately, that leads to tolerance and addiction, which on the other hand, results in withdrawal and painful rebound symptoms. Fioricet is very powerful and habit-forming because it contains butalbital, acetaminophen, and caffeine. What a great combination: a barbiturate to relieve anxiety, a pain reliever and a stimulant in one. 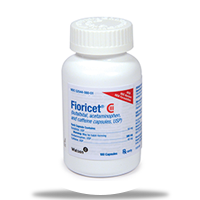 It’s true that the drug might reduce headaches when prescribed by a professional and when used for a short period, but it’s also true that Fioricet is highly addictive. Mainly because of the presence of butalbital, which is a barbiturate. We should mention that barbiturates have been widely used to treat anxiety, but due to the health risks they contain, since the 70s, they have been replaced by benzos. Fioricet Rehabs & Recovery Options: Why Is It Important to Treat Fioricet Addiction? As explained above, Fioricet is very addictive, and we should explore different rehabs and recovery options. It’s important to treat Fioricet addiction because, like any other addiction, Fioricet dependency can lead to health risks, family, legal and financial issues, and death. Another risk that comes with Fioricet addiction is the danger of intoxication. Overdosing on Fioricet can cause respiratory depression and death. Seeking treatment for Fioricet addiction is crucial because the drug leads not only to physical but psychological addiction and cravings can be tormenting. The first step towards sobriety is to admit your problem and be prepared to go through withdrawal. Rebound symptoms and depression can discourage you but remember that after two weeks all physical symptoms will pass. If you think that someone you love is struggling with Fioricet addiction, do not blame them. Note that in the U.S. more than more than 5.1 million abuse painkillers. Admission to a Fioricet rehab will include assessments and interviews. The next step in the recovery process from Fioricet dependency is detox. Monitoring during detoxification is recommended as withdrawal can cause seizures, accidents, and death. Inpatient Rehabs. Inpatient Rehabs offer constant medical monitoring. They also provide peer support and medical assistance. You can choose between a rehab near you or if you think that emotional triggers will cause a relapse, a rehab far from your home. Usually, treatment for Fioricet addiction lasts up to 28-30 days, 60 days, 90 days, or if needed – for more than three months. Outpatient centers. Outpatient centers are also a great Fioricet recovery option. They can be the next step after an inpatient rehab, or you can go directly to an outpatient center. Outpatient facilities give you more freedom to attend the program while continuing performing some everyday tasks. There are also intensive programs that require more days and hours a week to keep you busy and away from Fioricet. Luxury rehabs. Recently, luxury rehabs have become popular. They will make your stay more enjoyable as they include extra treatment, such as massages, excellent meals, and leisure activities. Not surprisingly, they are more expensive but check with your insurance company what part of the Fioricet treatment can be covered (loans are also an option). CEO rehabs. CEO rehabs are another trend among all the Fioricet recovery options. They are fantastic for working individuals, giving access to Internet and meeting rooms. Many working people and celebrities choose this recovery option as that gives them the confidentiality they need regarding their Fioricet addiction and the chance to keep being productive at the same time. Therapy is one of the main factors for successful treatment of Fioricet addiction. Therapy and counseling explore the triggers behind Fioricet addiction and help individuals cope with cravings. Behavioral therapy gives some structure to one’s life, and by completing step-by-step goals, people often find it beneficial in their recovery journey. Many Fioricet options are available out there, and some specialized groups for veterans or victims of abuse help people deal with their traumas and emotional pain parallel to their addiction. Note that all comorbid disorders should be treated. In addition, faith-based programs give a new direction to people in their clean life marked by the absence of Fioricet and sobriety. Last but not least, holistic approaches that emphasize the importance of nature, yoga, and meditation are perfect for people who want to treat their soul, mind, and body. Aftercare is crucial for the successful Fioricet recovery. Family therapy might be needed to help families reconnect after a traumatic period, such as Fioricet addiction. Fioricet addiction can be hard to overcome, but many rehabs and recovery options can help you live a sober life.